A rendering of the projections. 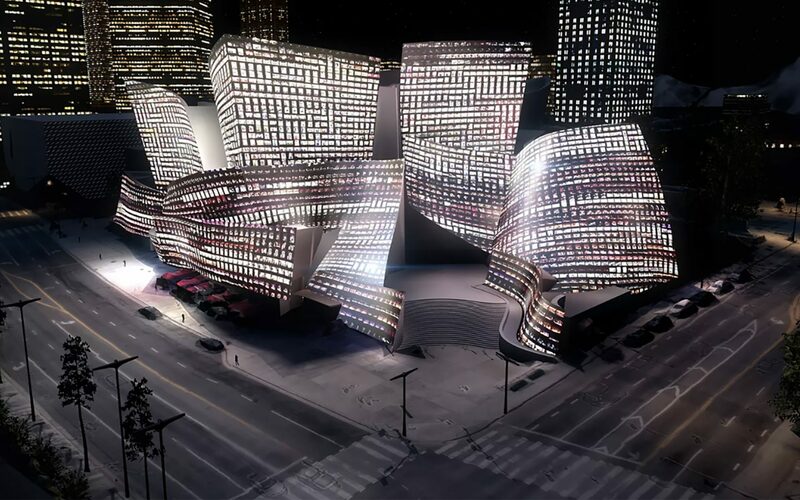 The Frank Gehry–designed Walt Disney Concert Hall, home of the Los Angeles Philharmonic, will light up later this month, when colorful images are to be projected on to the building’s stainless-steel exterior. 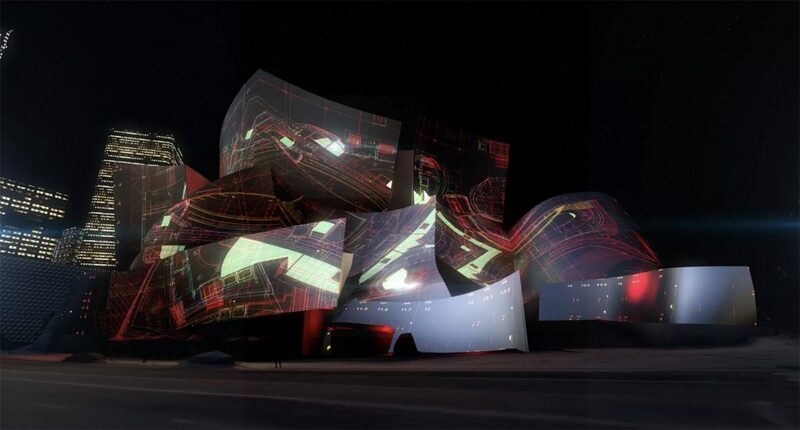 Istanbul-born artist Refik Anadol created the original imagery by using pictures, videos, and audio from more than 150,000 of the philharmonic’s concerts and turning it into mapped data points. 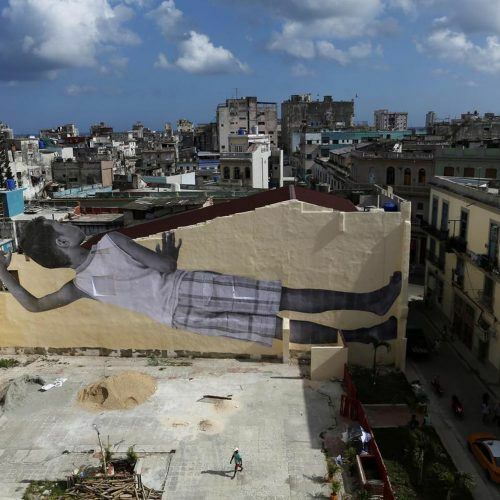 Anadol then reimagined the numbers as vibrant and compelling graphics that instantly transform the famous structure into a massive public art installation. 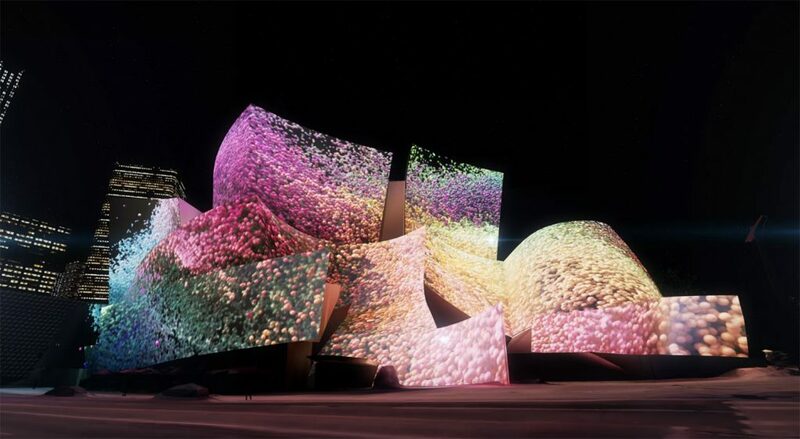 The idea of projecting onto the concert hall’s exterior was part of Gehry’s early ideas for the building. The Pritzker Prize–winning architect tested multiple types of steel, ultimately selecting the material that he thought would be the best surface for projections. Gehry even hoped that the concert happening inside the structure might be shown on the outside of the building in real time. 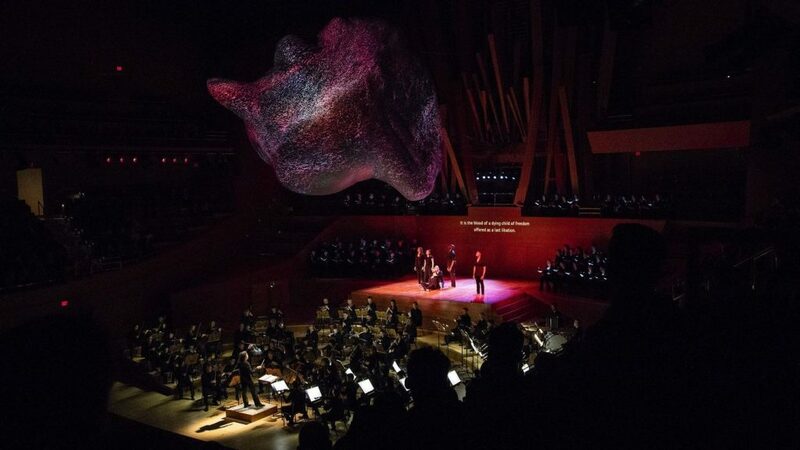 The temporary installation will celebrate the beginning of a new season for the Los Angeles Philharmonic and will decorate the building nightly from 7:30 p.m. to 11:30 p.m., from September 27 to October 6.